It’s a question humans have been trying to answer for millennia. 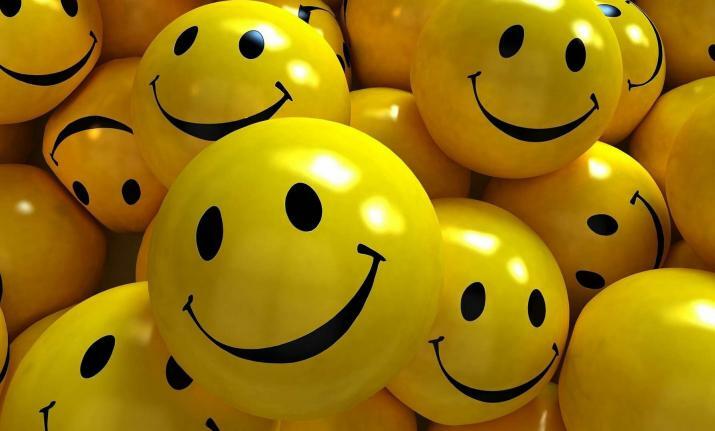 but over the past several decades, behavioral scientists have made huge strides in determining the basic building blocks of joy and contentment. Primary among them? The quality of your relationships. A study of adult development has found that close relationships, with both family and friends, help keep people happy throughout their lives. Health matters, too, as does creative work and freedom from mind numbing routine. But the small day-today stuff matters as well. The frequency of events that trigger happiness is a better predicator of satisfaction than the intensity of such events. In other words, the person who has several positive experiences throughout the day – a pleasant exchange with a friend or boss, a compliment from a spouse – is likely to be happier overall than an isolated person who wins a major award. Yes and no. A 2010 study found that happiness levels increase up to an annual salary of $75,000, but after that, higher earnings have little to no effect. Another study, conducted in 2015, concluded that higher incomes can be useful for reducing sadness but not for enhancing happiness. But more recent research has determined that money can indeed buy happiness – if you know how to use it. Can we work on being happy? Absolutely. Though some psychologists maintain that we have a “set point” of happiness – one that we return to time and again throughout our lives, even after a trauma or a lucky break – experts increasing argue that contentment is something we can cultivate and increase with a set of learned skills. How can a challenge make you happy? Setting and achieving goals is a key part of working toward happiness, research has found. Your brain releases dopamine – also know as the “feel good” neurotransmitter – every time you accomplish a task you’ve lined up for yourself. One way to hack that process is to give yourself small, achievable goals, so that you trigger dopamine hits as you work your way through a to-do list. But for this to be effective, it’s key to set specific goals that you know you can accomplish. Are some happiness factors out of our control? Genes and age do play a role. Studies of identical twins who were separated at birth show that they reported similar levels of happiness far more frequently than fraternal twins did, suggesting that some level of satisfaction might be hereditary. Global surveys from more than 70 countries show that happiness tends to decline as people move into middle age and bottoms out around age 44, and then steadily rises in the 50s, 60s and 70s. and there are several possible reasons. It could be that as people get older, they learn to care less about what others think, or that they become more adept at avoiding situations they don’t like. It could also be the experience has taught them that happiness isn’t something that just happens, and that there are ways to set a course for a happier life. At Bourke Accounting we will work with you through life’s changes; those that are expected and those that are not. Our focus is on tax preparation and bookkeeping services, but our personalized service and dedication brings our clients back year after year. Give us a call at 502-451-8773 or stop by for a visit as we want to help! See you soon.